These Attendance Super Star medals have a decorative star that frames the center of the medal. A star sits above a large check mark and a ribbon with the word Attendance completes the award. In addition to many other activities or sports these medal come in your choice of gold, silver or bronze finish. The back of the medal has more than enough room for all of your personalization needs. All you need to do is pick a ribbon and you are all set to go! This Dance award is a memorable keepsake that will be cherished by the recipient for years to come. 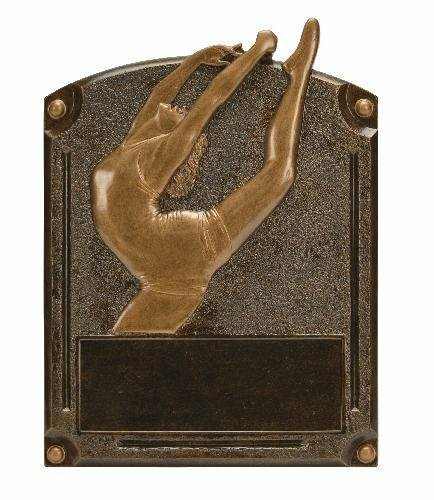 The dance person is depicted doing an elegant dance pose while the unique bronze color finish makes this award something special. This Legend of Fame award measures 8 X 6. A large area at the bottom of the award can accommodate all of your personalization needs. This item can either be hung on a wall or placed on a desk using the included stand. Dynamic lines and a vibrant pink color are the hallmarks of this Pink Modern Dance Award. The eye catching color of pink and the swapping motion of the modern dance figure sets this award apart from all the others. The regal black base forms a rounded shape to complete this award. 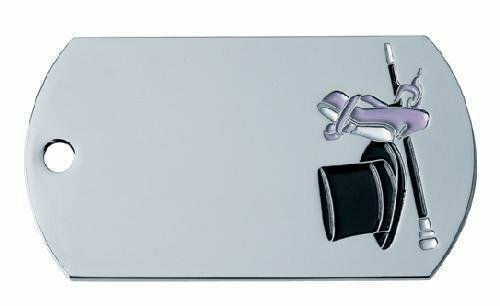 This award stands 6 1/4" tall and has plenty of room for whatever your personalization needs might be. After you have added this item to your cart, you can modify any of the parts for any sporting or academic activity.